As with many small businesses, the evolution of Leff Communications has been driven primarily by two factors. The first is new opportunities that have been a natural outgrowth of conversations with clients. They had a need and we had built a trusted relationship with them, so we added the capabilities—first graphic design, then video production. This suite of services has enabled us to be a one-stop shop for content development and shaped our approach to strategy. The second factor in our growth has been our vision for the company. Each milestone, from hiring our first employee to signing a lease, tends to reshape what’s possible. Initially, we thought if we could just grow to 8 to 10 people, that would be a reasonable target. But as we got larger, it gave us a new perspective on the needs of our clients and also enabled us to do projects (such as online interactives and e-books) that combined content types. Recently, it’s become clear that to continue to grow, the company needs to adopt a new structure: a content marketing agency that can handle not only content development but also promotion and distribution. The challenge was to find someone who understands every facet of what we do as well as manage large clients and projects. 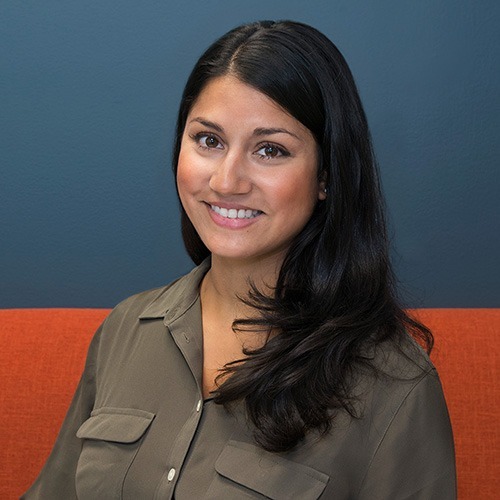 So I’m happy to announce the addition of Alia Samhat as our first account manager. She will play a pivotal role in our company’s transition to a content marketing agency. A growing small business relies on people who embrace uncertainty and change while being energized by new challenges. Alia definitely fits the bill here too. Her two-year stint in the Peace Corps took her to Ukraine, where she initially organized and taught English to local residents. Upon recognizing a greater need for HIV/AIDS education and awareness, she took the initiative to develop and coordinate a program dedicated to this issue. So it’s clear that Alia brings an innate sense of where opportunities lie and how to mobilize the people and resources to pursue them. Her ability to get up to speed quickly and understand what needs to be done will prove invaluable as the company grows. Please join me in welcoming Alia to our company. We’re excited to have her talents as we move forward.